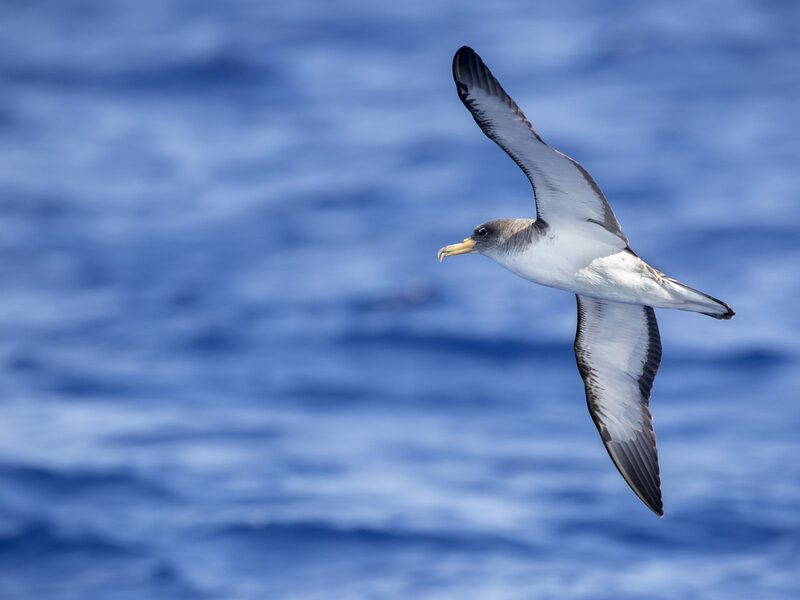 is a large shearwater in the seabird family Procellariidae. 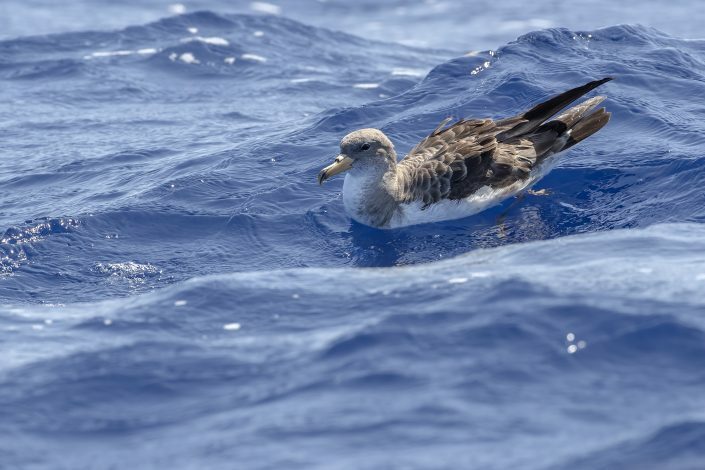 The genus name Calonectris comes from Ancient Greek kalos, “good” and nectris, “swimmer”, and borealis is Latin for “northern”. The English name is after the American ornithologist Charles B. Cory. 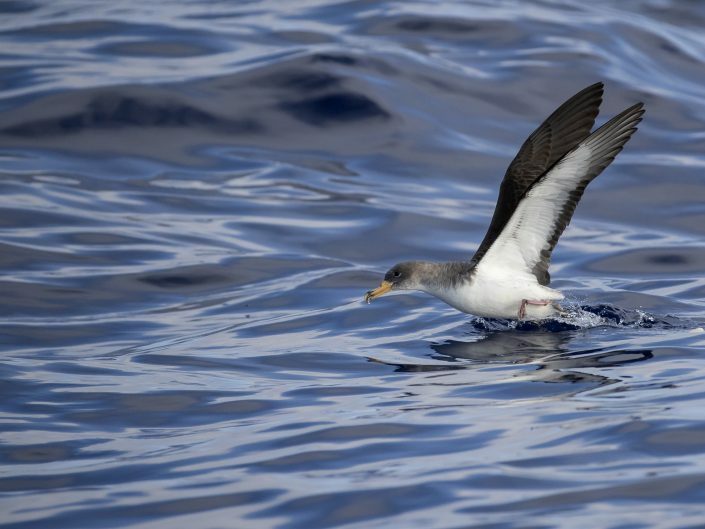 This species breeds on Madeira, the Azores and the Berlengas Archipelago in Portugal and the Canary Islands in Spain. They nest on open ground or among rocks or less often in a burrow where one white egg is laid. The burrow is visited at night to minimise predation from large gulls. 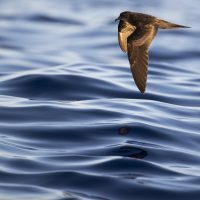 In late summer and autumn, most birds migrate into the Atlantic as far north as the south-western coasts of Great Britain and Ireland. They return to the Mediterranean in February. The biggest colony is located in Savage Islands, Madeira. 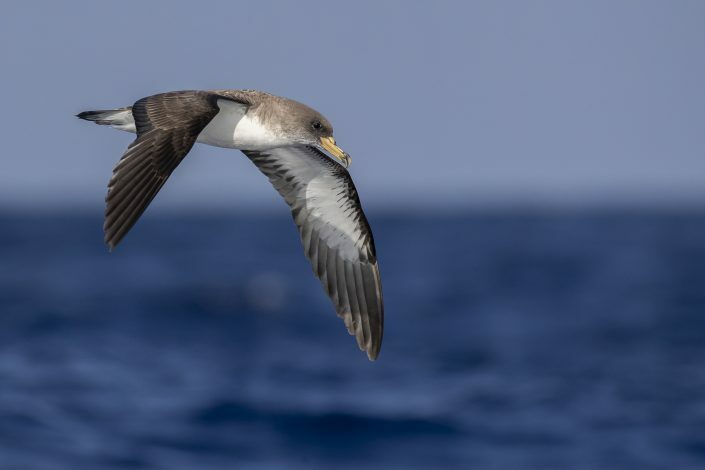 This bird flies with long glides, and always with wings bowed and angled slightly back, unlike the stiff, straight-winged flight of the similarly sized great shearwater. Cory’s shearwater feeds on fish, molluscs and offal, and can dive deep (15 m (49 ft) or more) in search of prey. It readily follows fishing boats, where it indulges in noisy squabbles. This is a gregarious species, which can be seen in large numbers from ships or appropriate headlands. The Bay of Biscay ferries are particularly good for this species. 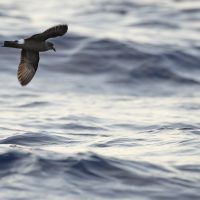 It is silent at sea, but at night the breeding colonies are alive with raucous cackling calls.